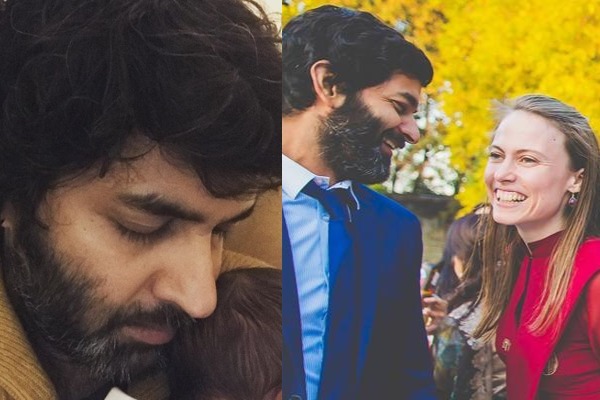 Actor, model and former video jockey Purab Kohli and his wife Lucy Payton welcome their second child after getting married in February 2018 in Goa. ‘Hip Hip Hurray’ actor welcomed his second child on January 26 this year. Purab shared the good news with his fans on Instagram. The actor also revealed the name of his newborn son with the caption “Balls of hair fuzzing up together. Hello #OsianNur #MySon 26/01/2019,” on his Instagram post. Purab Kohli entered the industry via television show Hip Hip Hurray on Zee TV and rose to fame through video jockeying on Channel V. Purab married his long time girlfriend Lucy Payton in a private ceremony in Goa on 15 February 2018. Kohli and UK-based yoga teacher Lucy was in live-in relationship for 10 years before their wedding. The couple has a love child, a baby girl, Inaya, who was born prior to their marriage. “When Inaya was going to come into this world, it was a glorious moment by itself, and we didn’t wanted to dilute that by suddenly rushing into marriage. We had always planned that we will wait for the right time and the frame of mind, to get settled” said the actor. On asking, was there any family pressure on you both, to get married once your parents got to know about Lucy’s pregnancy? Purab said “My parents have always been supportive of my decisions. I understand that the decisions I have made with Lucy have shaken the foundations [of the] institution of marriage, but my family was evolved enough to accept us”. Purab also hosted the travel show and made his acting debut in films with ‘Bus Yun Hi’ (2003). He featured in films like ‘Vastu Shastra’, ‘Rock On! !’, ‘Shaadi Ke Side Effects’, ‘Airlift’’ etc. His 2014 film ‘Jal’ was short-listed for an Oscars 2014 contender in the Best Picture Category and the Best Original Score Category. Congratulations to Purab Kohli and his wife Lucy Payton!